Today I ran the Reaper Obstacle Race! First things first, absolutely loved it! Ah hahaha, then the cheeky people decided to turn it into a UK Championships qualifier! 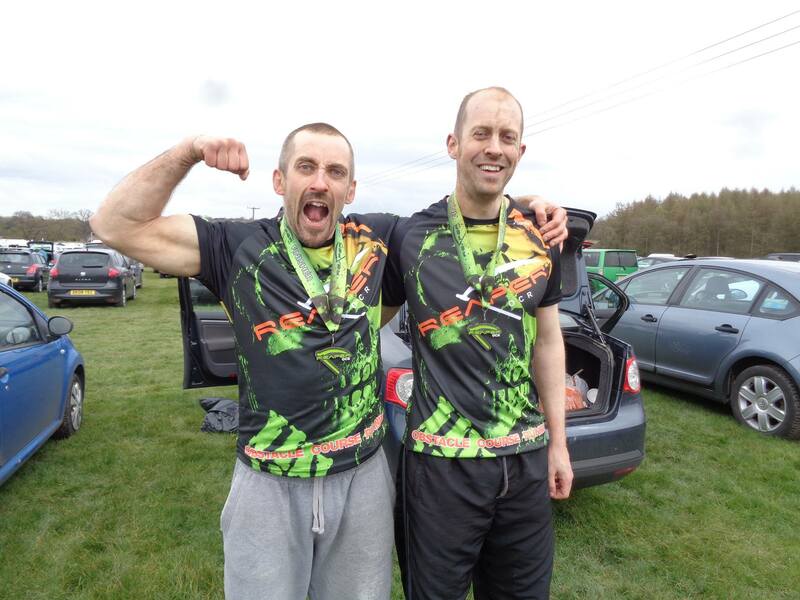 A bunch of new, harder obstacles reared their ugly head! It’s probably a good thing we didn’t have a massive bunch of newbies trying this one today, it would have messed some people up! So out of the PTS crowd it was me, Jethro Punter and Harry Battison taking it on today. Harry’s first obstacle race and all, but he’s a young lad with tons of beans so he’ll be alright! The weather seemed absolutely perfect, a bit of sun, not much wind, not too hot, not too cold, and no rain! We started on the first wave at 12pm, the warm up actually got me more enthused than normal as it was to the Fratellis, so I just danced around and sang along for the warm up, not actually sure I followed any of the instructions! But I’ve said this before about the Reaper event, their warm ups are good because they don’t try to kill you with stupid stuff like burpees before a really hard race! Which involved my favourite thing ever, dunking yourself repeatedly into freezing cold water at the very start of a race. You had to bob under these floating beams of wood by the pier, and it was harder than it looked as they were quite low. I hate this bit with a passion! And I managed to lose my right contact lense on this, about two minutes into the race! Aaargh! So after ducking six of these stupid beams, it was time to run. I felt destroyed. Like I’d never run before. I was blowing out my lungs, legs felt like lead, just felt incredibly unfit! That dunking knocked the stuffing out of me! As this race was a UK qualifier you got given bands after you did each of the four mandatory obstacles, but as I’ve already qualified I felt no need to collect rubber. I also had no intentions now of not doing an obstacle! I nearly didn’t do the ducking under beams but then I realized I’m not a wimp and did it anyway! Even though it screwed me for a bit! After the initial surge of people at the start of the race, I have to say it was quite a lonely affair for me. The front runners were off somewhere, nobody was with me, and there wasn’t a soul behind me for some distance, and stayed like that for pretty much the whole race. But it wasn’t boring! I have to say I did run this race hard, I didn’t let up and wherever I’ve placed (as I don’t know yet) I’ll be happy! And the ramp up in difficulty… There was a weaver (a series of beams you have to go over and under without touching the floor) which I’ve never done before, and I got it first time and felt incredibly joyous! I fluked a good technique and actually overtook people on this horrible but fun obstacle! There was also a series of ‘Irish bars’ which are just high, horrible angled beams you have to belly flop onto. Luckily I’m strong enough to muscle over everything! Plus there was a ‘destroyer’, which is half inverted wall and half high wall, another really hard obstacle if you’re not a dedicated Spider-Man fan like me! And then there was their rig… This messed up a lot of people! A small section of monkey bars to a suspended long bar, then a series of rings! I managed to get a hand on the last ring and then slipped off, so I’m not actually sure if that counted as complete or not, as a marshall said good job but I didn’t care for another go anyway! Don’t want to get cold! The lay of the land was as before for the Reaper race, not much in the way of hills, not much water (except for the couple of slides and ditches, and I didn’t mind that), the mud was of a more ‘natural’ level, as in you could actually run the entire time! And the woodland terrain running is just a total JOY! I just love running through these woods! The temptation to take off all clothes, hug a tree and burst into song is incredibly strong! So I crossed the finish line in around 1 hour 20 minutes, I had originally aimed for getting close to 50 minutes, but then the overall winner today did it in 58 minutes, so it was definitely realer! I have no idea on place, but I’m hoping I did well in my age group, although the guy that beat me by 20 feet was also in my class, for crying out loud haha! We then both stood by the finish line and froze for ages as both of us were running with people who had the car keys, and weren’t as fast as us! So the only time I got threatened with my usual bout of hypothermia was well after the race was over! The sight of Jethro crossing the line at around 1 hour and 50 minutes filled me with the joy of upcoming warmth and dryness! I think today’s version of the Reaper race might be close to perfection of what an obstacle race in this country should be like. Elements of strength, tactics, skill, and not stupid amounts of rolling around in slippy mud! So you can actually run! You know, as in race! 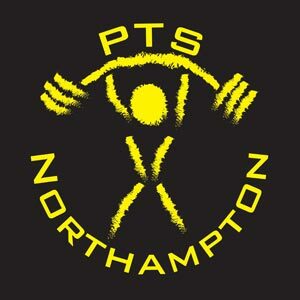 Now time to recover, as tomorrow I’m competing in powerlifting in Colchester with another bunch of the PTS crew! Now that’s a good PTS weekend!